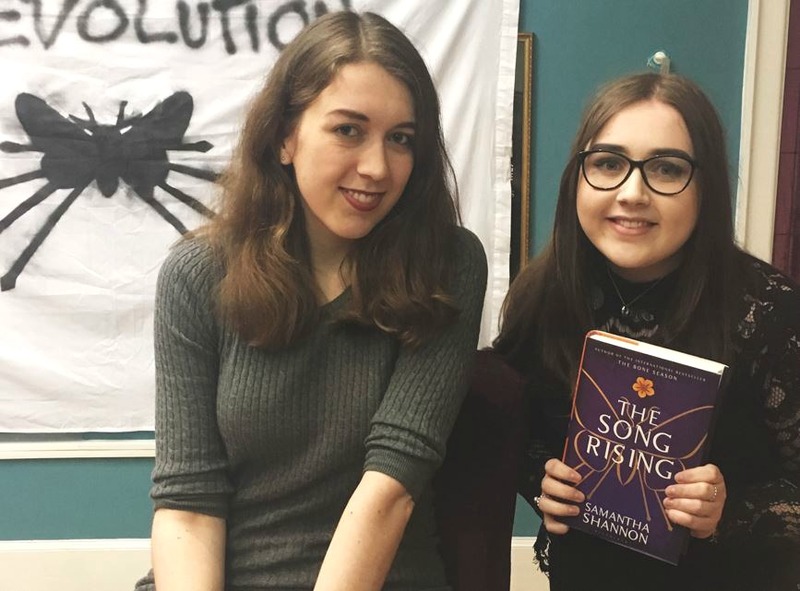 Earlier this week, on Wednesday night, I made my way to my local Waterstones on Deansgate in Manchester, for a very exciting event: a book signing for The Song Rising by Samantha Shannon! I attended one for Caraval by Stephanie Garber a few weeks back (which you can read about here) so I was very much looking forward to this as I knew how awesome these signings were! I started reading The Bone Season series last month, and it very quickly made it’s way up my favourite book series list. I was about 50% of the way through The Song Rising the day of the event, which was only a day after the book was released, so that’s testament to how much I was enjoying it. Samantha’s discussion was both insightful and inspiring; I loved learning about the history of her writing, how she developed ideas for the series and even a couple of personal things. I really like the fact that she draws on a lot of real world issues and events, and these influence her writing. For example, the way that the Salem Witch Trials were conducted and the idea of “unnaturalness”, with those that are “different” being persecuted. While The Bone Season series could be considered dystopian, the fact that the world is actually quite progressive is quite contradictory. For example, Samantha clearly explained that there is no sexism or homophobia in her books. Her characters see people as just that, people. Not man, woman, gay, straight or bisexual for example. For a world that is so damaging in some ways, is actually more developed than ours in others. The idea of mass hysteria interests Samantha too, which is clearly reflected in the way that certain groups react within The Bone Season series, and again is quite prevalent to today’s society. Samantha began writing in her teens, around the age of 12 or 13, and started to write her first novel, Aurora at 15 (Samantha described this as Twilight with aliens)! While this story wasn’t picked up by an agent, Warden was actually created first for this story and then adapted for The Bone Season. Apparently Warden was quite dark and brooding in Aurora, with the story revolving a lot around the “swooning” between him and his human lover. Speaking of which, Paige and Warden’s relationship was somewhat inspired by the story of Beauty and the Beast, particularly how the Beast never really tells Belle what’s really going on, when actually by doing that he’d have made things much simpler! Samantha also said that she drew inspiration from V for Vendetta (one of her favourite films) and the character of Mr Rochester from Jane Eyre. While Aurora was unfortunately rejected, Samantha did receive feedback from one agent, and it was on her trip to this agency that she came across the area of Seven Dials for the first time. The New Age shops in the area helped Samantha to develop the idea of a secret society of clairvoyants in a not-too-distant future London, and so began The Bone Season. I also found out that the film rights for The Bone Season have also been bought by The Imaginarium Studios, which is ran by actor Andy Serkis. I’m so so so excited for this, but I really do hope that they do the books justice! 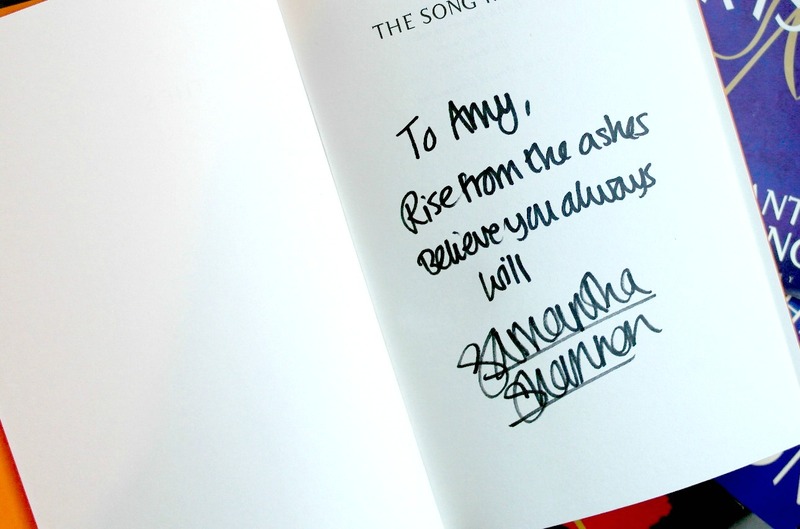 I had such a great time at this event, and even got to have a chat with Samantha while she signed the books I had brought with me. It’s such a pleasure to meet the authors of my favourite books, and so I encourage anybody that’s thinking about going to a signing to just do it! You won’t regret it. 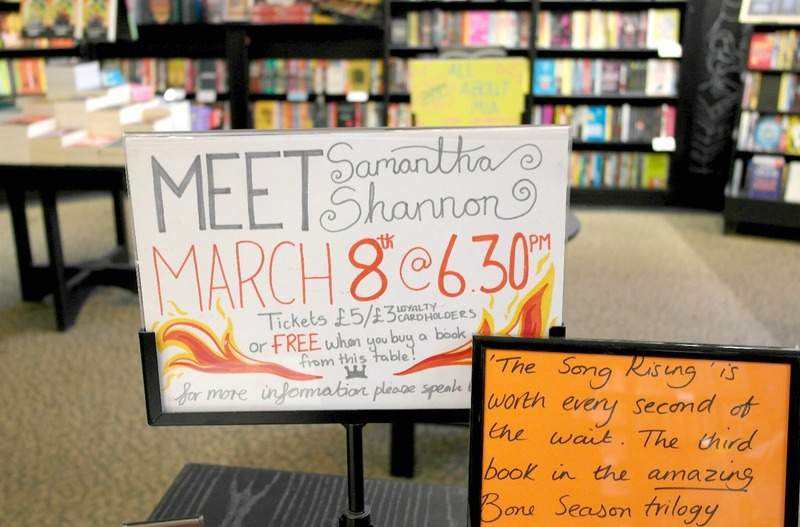 Keep up with any events at your local Waterstones here*. *Not sponsored or paid for, I just love bookish events!